A special screening of the spectacular Björk concert will be the closing film of the 3rd edition of the Avant Art Film (18 October,19.00, New Horizons Cinema, Wroclaw), a section of the festival dedicated to music documentaries. Biophilia is a spectacular concert of an outstanding Icelandic artist filmed at Alexandra Palace in London in 2013 with the use of 16 cameras by Nick Fenton and Peter Strickland, experts in the field of documenting musical performances. Screening of Björk: Biophilia Live it’s just one of the elements of the varied Avant Art Film program (7-18 October, New Horizons Cinema). This year as many as twelve titles have been selected by the In-Edit creators from Barcelona, the biggest international music documentary festival and the producers of LUFF, the Lausanne Underground Film and Music Festival from Switzerland. 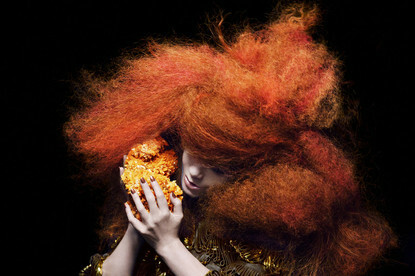 Tickets for Biophilia cost 27 zł and are available at the New Horizons’ box office or at www.kinonh.pl . „In Between” and Małe Instrumenty in Turkey! Between the Academic Art and the Underground- the debate. Unique performance for 14 people. Sign up now.